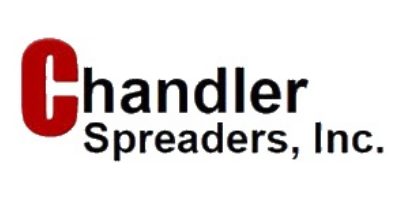 Chandler - 9-PT-FT - Fertilizer Pull Type Spreaders - Ground Wheel Drive Pull Type Fertilizer / Lime Spreader by Chandler Spreaders, Inc. 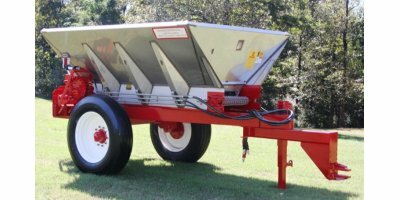 The Chandler Fertilizer and Lime Spreader is a durable, heavy duty and well designed unit to give long lasting, trouble-free service. The design and construction goes far beyond present standards and is striving for a lime or fertilizer spreader to meet the quality our customers demand. The superior design and construction, its low initial cost, its efficiency and ease of operation and economical maintenance make it the preferred spreader throughout the agribusiness industry. “FT-CS” – Standard duty carbon steel with stainless steel at critical corrosion points. “FT-CH” – Heavy duty carbon steel with stainless steel at critical corrosion points. “FT-SS” – Stainless steel construction. Hopper Capacity: 4 to 5 Ton Capacity (according to cu. ft. weight of material). Hopper Net Depth: 43 in. Hopper Overall Height: 6¢11² (83 in.) Also available in low profile design making unit have 77² overall height. No reviews were found for Chandler - Model 9-PT-FT - Ground Wheel Drive Pull Type Fertilizer / Lime Spreader. Be the first to review!